By all accounts, Amazon's first foray into the smartphone universe hasn't quite set the world on fire, but early adopters are being treated to their first software update. 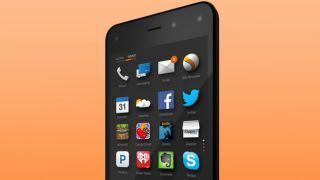 The company kicked off the week by pushing out an over-the-air Fire OS 3.5.1 software update for the Amazon Fire Phone, which promises "new and enhanced features" for the e-tailer's freshman handset entry. The update is also available a manual download via PC or Mac. Fire OS 3.5.1 aims to address some of the initial pain points that have kept the Fire Phone from being all that it can be, starting with the ability to pin favorite apps to the home carousel. The update also includes the option to create folders of apps or other content into app grid Collections, while a double-press on the home button now enables Quick Switch for alternating between or shutting down apps or tasks that are currently running. Fans of Lenticular photos will be overjoyed to discover the Fire Phone can now create such content using 11 still images instead of only three, and the device is newly capable of sharing high-resolution videos via email or MMS as well. Not a fan of Amazon's built-in email app? The new Fire OS update will let users delete email missives right from the home screen, meaning one less trip to the app proper when all you want to do is purge some junk mail. Last but not least, the Fire Phone software release notes promise "dozens of system updates for enhanced battery performance," which will probably sound like music to the ears of users who've struggled to get through the day on a single charge. To download Fire OS 3.5.1 from your Fire Phone, drill down into Settings > Device > Install System Update > Check Now and wait as that little slice of heaven gets installed. Alternately, download the update (direct link) on your computer to push it to your device via USB. Get Amazon on your television with our review of Fire TV!